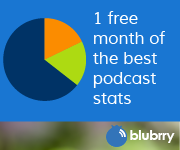 Most people do not use the enhanced podcast features. What that is, is chapter markers and images that show up on an iPad, iPhone or ipod (and some web players) during an audio podcast. I never thought that enhanced podcasts were worth the trouble. I think that Apple came to the same conclusion. This doesn’t mean that you can not use Garage band to make normal MP3 podcasts. I’m sure it’s just fine for recording as it always was. Looks like Frank Zappa might have come up with “podcasting” before the Patent Trolls at Personal Audio. According to Marc Maron, who interviewed Moon Zappa (You know, the Valley Girl from Frank’s Valley Girls song and Franks Daughter) says a fan, reading Franks Autobiography, found where Frank figured out a way to distribute content via phone lines. Hopefully, this will be just another example of prior art that can be used by podcasters to defend against these lawsuits. Now for the meat of this episode……..
only way and it’s not even the most used way anymore. Other apps have come along (including Apple’s own podcast app). The good news for us is that if you get your podcast listed in iTunes, it’s also listed in the Apple Podcasts App and some other apps for both iOS and Android that use Apple’s directory API’s for their list. So, in a nutshell, it’s important. NO SUCH THING AS AN ITUNES FEED! I repeat, THERE IS NO SUCH THING AS AN ITUNES FEED!. 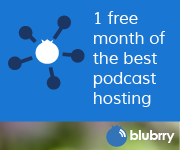 The only thing called a feed in podcasting is your RSS feed. We will be talking about feeds a lot in the future, but when it comes to itunes, just don’t forget that iTunes is not a feed or even a type of feed. about media hosting in another show.